The Gilkin is a steep, round hill about half a mile east of the centre of Wirksworth. 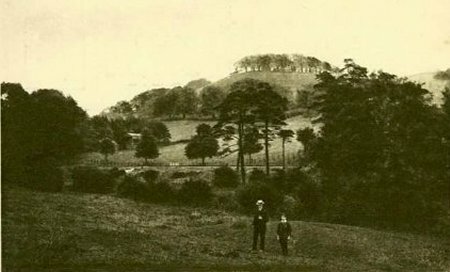 The top was once covered in trees, until the farmer cut them down in 1925. From the Gilkin, a fine view was to be had of Wirksworth itself (see X210). In the middle-distance runs the railway from Duffield to Wirksworth.